Also known as "Petit monde à deux et trois ans"
"A study of child behavior at two and three years, showing what to expect and how parents can deal constructively with the problems they present. The film shows a group of active children in playground, nursery school and home, first at age two, and then at three. Destructiveness, tantrums, rivalry with younger children, and unreasonable fears are discussed." Part of the 'Ages and Stages' series. National Film Board of Canada. 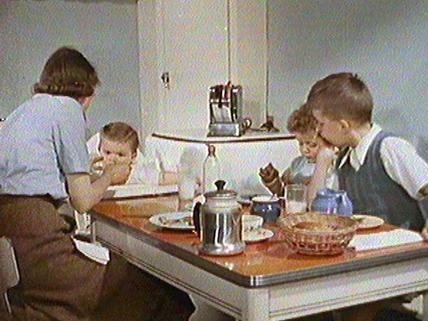 "NFB -- The Terrible Twos and the Trusting Threes." National Film Board of Canada. http://www3.nfb.ca/collection/films/fiche/?id=10430.